Teeming treasures are hidden in the sea depths. 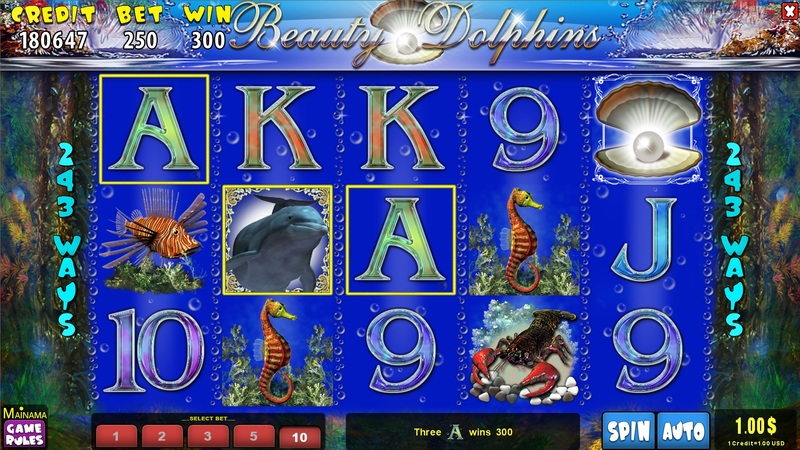 Try your luck, playing Baeuty Dolphins. 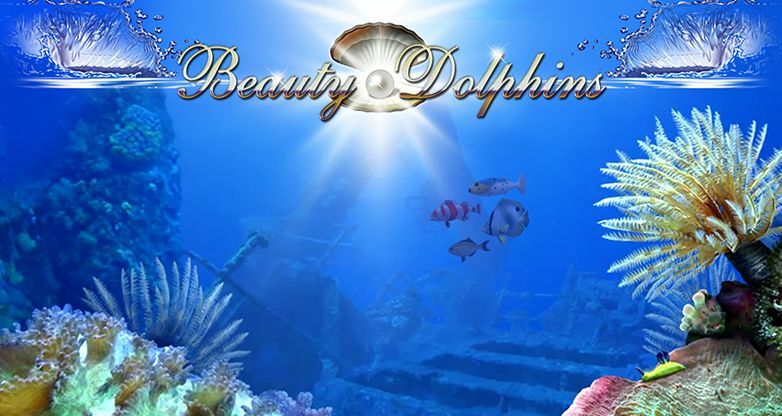 The beauty of the underwater world will capture you with this game by MainamaGames. 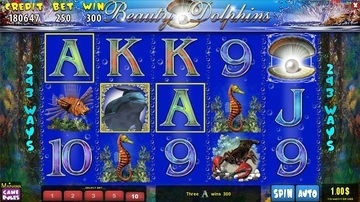 You may fall in love with the dolphins at first sight. Here the iconic images of these animals are of particular importance. They are a wild. They substitute all iconic images except for the pearl shell. In case of combination with the wild all payments shall be doubled. 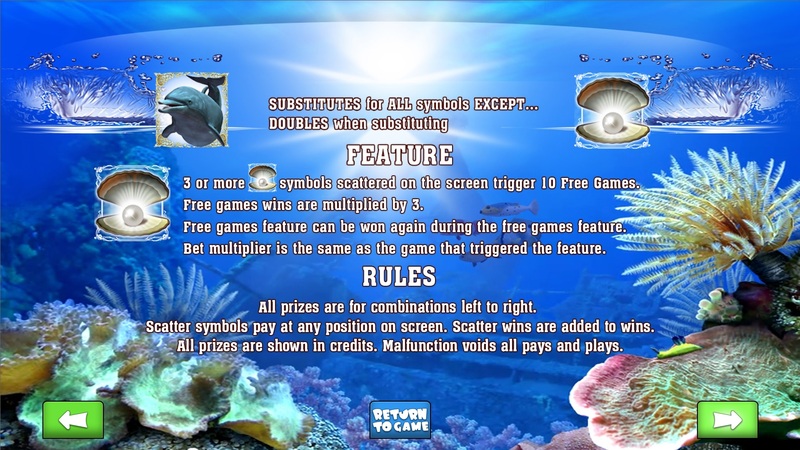 Three or more scatter-shells shall trigger 10 free games, during which all payments shall be tripled. The left to right combinations shall be winning. 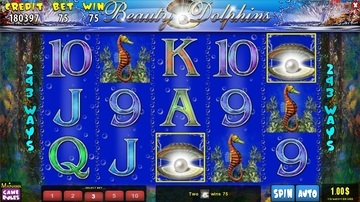 Hold your breath, you will find yourself whole-heartedly into this game!